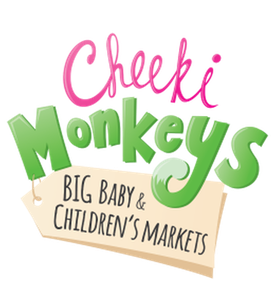 “I highly recommend�Cheeki Monkeys�to all Local Mums. We had a great time visiting the Cheeki Monkeys market and got loads of bargains! All really nice clean good quality toys being sold. Can't wait for the next one local to us!" The events provide a place for local families to make money while recycling unwanted items. Also on offer are homemade tasty treats, handmade and unique crafts and a way for parents to find out more from local businesses with a family focus. Sellers keep every penny they make and buyers will discover a huge range of items at bargain prices. With many quality brands at a fraction of high street prices, they are great events for savvy mums and dads. Please feel free to bring your children along, entrance is FREE for them and the markets are buggy friendly. Most markets charge a minimal admission fee for shoppers. THOUSANDS of pre-loved and hand made goods to choose from. Deal face to face with the seller and examine your goods before you buy. Eco-friendly, fun and cost-effective way of supporting local communities. 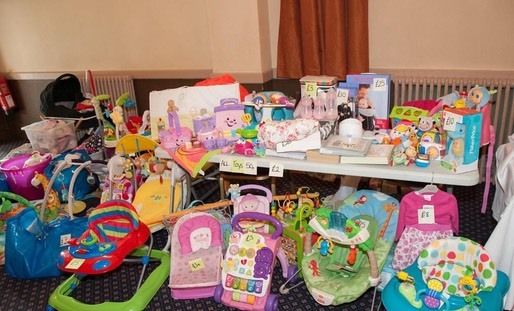 Pre-loved stalls are still available for �10 instead of �12 if you mail us on sutton.cheekimonkeys@gmail.com and quote 'local mums' when booking?